Our full-size workhorse, the 2014 RAM 1500 Outdoorsman Crew Cab 4X2 proudly shown in a Black Clear Coat exterior finish, is ready for a new boss like you. 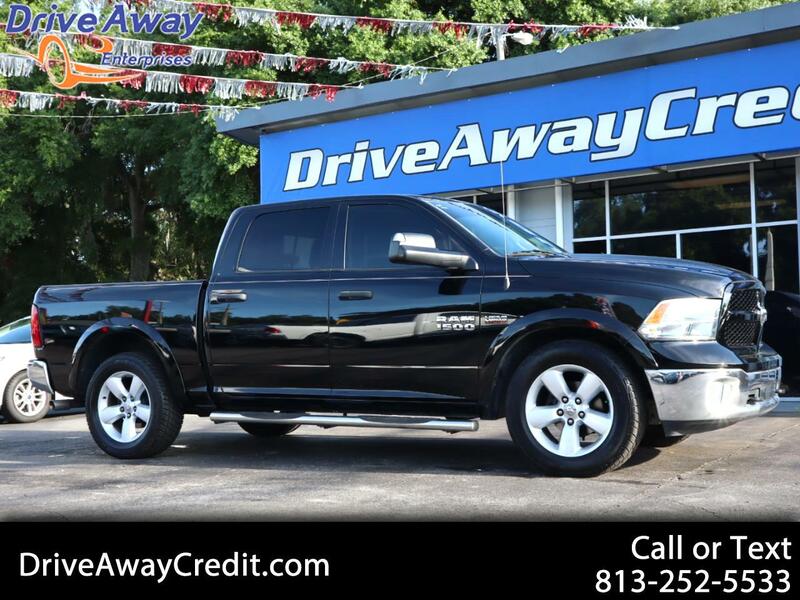 This Crew Cab offers a 5.7 Liter HEMI V8 connected to a strong and efficient 8 Speed TorqueFlite transmission, this Rear Wheel Drive combination offers exceptional towing capability plus still returns near 20mpg on the open road. Inside you will see a practical set-up that allows this Crew Cab to seat all on the durable 40/20/40 bench up front and roomy back seat. Flip the center seat-back forward and you have your own storage area or work station to simplify your busy life. In addition to the comfortable seating, you have supplemental air bags, an AM/FM/CD Media center that offers six speakers plus an auxiliary jack. Easy to use controls, a bright dome light, and automatic headlamps are included for your additional convenience. Outside you will enjoy a removable tailgate, power heated side-view mirrors that fold away and running boards that set the tone for one tough working machine.